United Tiny House Association | Frequently Asked Questions about the United Tiny House Association, the Georgia Tiny House Association, the Tiny House Festivals, and the Tiny LIVING Festivals. The following are some of the most common questions (and the answers to these questions) asked about the For-Charity Tiny House Festivals. We look forward to answering any additional questions anyone might have regarding our events. Q: Who is behind the For-Charity Tiny LIVING Festivals? A: The For-Charity Tiny House Festivals are the brain-child of the United Tiny House Association, and its Founders, John and Fin Kernohan. The For-Charity Tiny House Festivals are not vendor-organized events, nor are they designed to promote or advertise any certain company or product. Instead, the For-Charity Tiny House Festivals are a celebration of the tiny lifestyle movement by celebrating EVERYTHING tiny – including ALL modalities of tiny structures and tiny living. ~ To support and encourage those currently living their tiny home dream and those who dream of someday living tiny. ~ Venues for exposing the tiny house community to many of the leaders and trailblazers within the realm of micro living. ~ Allow individuals to experience what it is really like to be inside a tiny structure. ~ Provide attendees an opportunity to view and tour ALL modalities of living tiny, whether it be tiny houses on wheels (THOWs), foundation-based tiny homes, skoolies & bus conversions, yurts, gypsy wagons, tear drops, full-time RV living, van conversions, vintage campers, and a multitude of DIY tiny structures. ~ To introduce everyone in attendance to ideas and options they might not have previously considered. ~ A source of networking and shared resources for everyone. ~ To create a financial resource for local communities and charities. Q: Is it true your organization has put together the World’s 5 largest tiny house festivals? Q: When and where are the next For-Charity Tiny LIVING Festivals being held? Click HERE for the 4th Annual Georgia Tiny House Festival’s Facebook Event Page. Click HERE for the Tiny LIVING Festival – Tennessee 2019’s Facebook Event Page. Click HERE for the Tiny LIVING Festival – California 2019’s Facebook Event Page. Click HERE for the Tiny LIVING Festival – North Carolina’s Facebook Event Page. Click HERE for the Kick-Off Party for the 4th Annual (2019) Florida Tiny LIVING Music Festival’s Facebook Event Page. Click HERE for the 4th Annual (2019) Florida Tiny LIVING Music Festival’s Facebook Event Page. Click HERE for the Tiny LIVING Festival – Louisiana 2nd Annual’s Facebook Event Page. Q: Can I, my business or my employer become a sponsor of the for-charity tiny house festivals? Q: What are the hours for the Tiny House Festivals? Q: Will there be tiny structures I can see? A: Yes, most definitely! We ALWAYS have both privately-owned tiny structures and vendor-provided tiny structures, which includes THOWs, skoolies, gypsy wagons/vardos, tear drops, van conversions, yurts, and more. Both groups of tiny structures are available for attendees to look at, view inside, and ask questions about. (Tiny structures will be available for viewing during all three days of this year’s event at the discretion of their owners.) The complete list of all the incredible tiny structures participating in our Tiny House Festivals can be found by following the Tiny Houses link for each Tiny LIVING Festival. Q: How many tiny structures are at your events? A: It completely depends on the event. Some of our events have over ninety (90) and one hundred (100) tiny structures, and some of our events have had 20-40 (twenty-to-forty) and 50-60 (fifty-to-sixty) tiny structures. Also, we report before-hand and leading into an event how many tiny structures (THOWs, skoolies, gypsy wagons/vardos, tear drops, van conversions, yurts, and more) are registered attend and participate at our events. Additionally, the United Tiny House Association is not responsible if any tiny structures registered for an event either cancels their participation, does not arrive at the event, and/or are late in arriving at an event. Q: Do I have to buy a ticket to attend the 2019 Tiny LIVING Festivals? ~ Children ages 12 and under. ~ Active, Retired & Discharged Military with Valid Photo ID Card. ~ Active, Retired & Discharged “Badged” Law Enforcement with Valid Photo ID Card. ~ Active, Retired & Discharged Fire Fighters & On-Scene Emergency Responders with Valid Photo ID Card. Q: Will there be a cut-off for how many people can attend the Tiny LIVING Festivals? A: Attendance caps depend on the venue for each of our Tiny LIVING Festivals. Please keep in mind pre-purchasing on-line for Saturday and Sunday guarantees access and participation at the event – plus there is a discount for a limited time prior to each event for online ticket purchases. Q: Can I purchase my tickets for Saturday and/or Sunday on-site at the Tiny LIVING Festivals instead of pre-purchasing on-line beforehand? Q: What type of tickets are available and what do they cost? Q: Can I stay over-night at the Tiny LIVING Festivals? A: Depending on the venue location, on-site camping (both primitive and/or sites with RV/camper hook-ups with water/power) is usually available. All on-site camping reservations can ONLY be made on-line though our web site. Additionally, a list of campgrounds and hotels located in the area of our Tiny LIVING Festivals can be found on the Accommodations Page for each of our Tiny LIVING Festivals. If you are the owner of a tiny home and would like to stay on-site during the event, registration forms are available HERE to attend and participate for FREE. 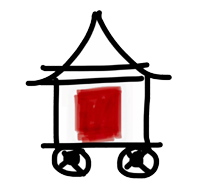 Q: Are the for-charity tiny house festival children-friendly? A: Absolutely! Children are welcome with open arms to the Tiny LIVING Festivals. In fact, we have a FREE children’s area known as “Teenies’ Tiny Wonderland” where there are crafts & activities. Also, children who are ages 12 and under get in for FREE throughout the entire weekend. Q: Who will be presenting and speaking at the Tiny LIVING Festivals? A: The Tiny LIVING Festivals offer some of main movers and shakers in the tiny house movement, as well as individuals with incredible stories and personal insights of living tiny and owning a tiny home. You can see experts, experienced tiny home dwellers, and everyone else who will be presenting at the Tiny LIVING Festivals on the Speakers Page for each of our Tiny LIVING Festivals. Q: How can I be a volunteer during the For-Charity Tiny LIVING Festivals? A: The For-Charity Tiny LIVING Festivals are greatly appreciative of the many people who volunteer their time to help make our events successful. Without offer some of main movers and shakers in the tiny house movement, as well as individuals without these dedicated individuals, the For-Charity Tiny House Festivals would be hard to accomplish. As a sign of our appreciation, anyone who volunteers during our events receives a FREE full weekend admission pass, a cool t-shirt, food & drink during their volunteer time, and we donate $10.00 per each hour of a volunteer’s time to the local charity of their choice. To sign up to be a volunteer and to identify your charity of choice, please follow the appropriate link HERE. Q: What will be happening during the Tiny LIVING Festivals? A: The Tiny LIVING Festivals are jam packed full of activities, speakers, entertainment, workshops, tiny home tours, and more! A complete list of the 3-day schedule and activities are posted by following the Schedule link for each Tiny LIVING Festival. Q: What tiny house builders and vendors will be at the Tiny LIVING Festivals? A: A complete list of all the incredible tiny house builders, organizations, and vendors who participate in our Tiny House Festivals can be found by following the Vendors link for each Tiny House Festival. Q: I have a disability. Is there easy access for me? A: Yes, there is a drop off area – and a disabled parking area for clearly identified vehicles. A: Be sure to bring your enthusiasm and excitement. You might also want to bring either a lawn chair, sun screen, beach blanket or beach towel. Also, there will be many vendors and food concessions making their products and services available for purchase. Q: May I bring my own tiny house to the Tiny LIVING Festival? A: Yes! Anyone who owns a tiny home, skoolie/bus conversion, vintage camper, yurt, DIY tiny home, etc., and would like to bring it to our Tiny LIVING Festival can do so and stay on-site for the entire weekend for FREE… and also receive FREE weekend passes as well as meals! All we ask in return is for you to open your tiny house to the attendees so they may view it and ask you questions about your tiny living experience. If you would like to bring your tiny home to any of our Tiny LIVING Festivals, please contact us at unitedtinyhouse@yahoo.com or you can find the registration form HERE. Q: I have a product or service I would like to share with the attendees of the Tiny LIVING Festivals. How can I become a vendor at one of your events? A: Please contact us at unitedtinyhouse@yahoo.com so we may provide you a Vendor Registration Form. Also, registration forms are available HERE. Q: How can I become a speaker/presenter at one of your events? A: Please contact us at unitedtinyhouse@yahoo.com to request a Speakers Registration Form so you may be considered as a Speaker for one of our upcoming Tiny LIVING Festivals. Q: If I do not register as a vendor or participant, can I still come to the Tiny LIVING Festivals to promote my business, company, tiny house event and/or hand out my business cards, flyers or brochures? A: No! You must first obtain permission in writing from the appropriate Board Member of the United Tiny House Association. The vendors and participants who have taken the time to officially register for our Tiny LIVING Festivals have invested their time and resources in providing the attendees access to their quality products, structures, and services. Because of this, we must insist anyone who is not registered as a vendor, business, builder or home owner, not come to our Tiny LIVING Festivals with the intent to promote their business, service, product or event. At the same time, if you have a product or service that is of direct benefit to the tiny house and micro living community and you are not a registered vendor, please contact us within 2 weeks before our events so you may coordinate having your marketing materials available through our official information booth. Q: Will there be tiny homes for sale at the Tiny LIVING Festivals? * Note: Neither the United Tiny House Association, nor any of the organizers and/or officers, are involved and/or responsible for the sale of tiny houses during our events. All sales and financial commitments are between the buyer and the seller. Q: Why are these events called the “For-Charity Tiny LIVING Festivals”? A: The For-Charity Tiny LIVING Festivals, organized by the United Tiny House Association, were founded by John & Fin Kernohan and the Board of the United Tiny House Association as a way to channel the popularity of tiny houses, and The Kernohans’ & their Board’s personal tiny lifestyles, as a means of philanthropy to raise funds for multiple worthwhile causes. To date, almost $600K from the proceeds of the United Tiny House Association’s 12 for-charity Tiny LIVING Festivals have been donated and contributed to over 70 different charities, non-profits, great causes and to the local communities where these events have been held. Additionally, not a single single cent (not even to pay event expenses) from the first two Georgia Tiny House Festivals was ever retained by The Kernohans or the United Tiny House Association. Q: I am a participant in your events, and each time my name and my company name is posted on your web site I get contacted by other tiny house events asking me to be involved in their events. Sometimes they have insinuated or implied they are somehow associated to your events. Is this true? A: No, with the exception of the Tiny Home Show held on Hillsborough Community College’s Southside Campus in Ruskin, Florida, we are not associated or partnered with any events other than our organization’s own For-Charity Tiny LIVING Festivals, which are always listed on this page and on our Facebook’s Events Page. As many people know, we do help and support other events in the tiny house movement, and have even created a Facebook page where tiny house events can submit their information for others to see. Unfortunately, there have been a couple of events that have been organized by entities not related in any way to our organization, where the organizers have copied our events so much that some people have become confused as to which one is ours and which one is not. A couple of these have even gone as far as to falsely claim they are associated with our organization or that we are associated with them and their event(s). Also, some events go through our web site and contact our vendors, speakers and the tiny homes registered for our events to participate their events, which can make it appear to the unsuspecting eye that there is a relationship between their and our events. Additionally, there have been a couple events where the organizers have mislead people into believing their events are someone how related to our events by using our organization’s name and/or the names of some of the members of our Board. Again, if an event is not listed on our web site’s FAQs page, then it is not one of our events. If anyone ever has any questions in this matter, please do not hesitate to contact us. As always, we thank everyone for their support of our For-Charity Tiny LIVING Festivals.